Kim Davenport has been working as a professional musician since her pre-teen years, with extensive work as an accompanist. 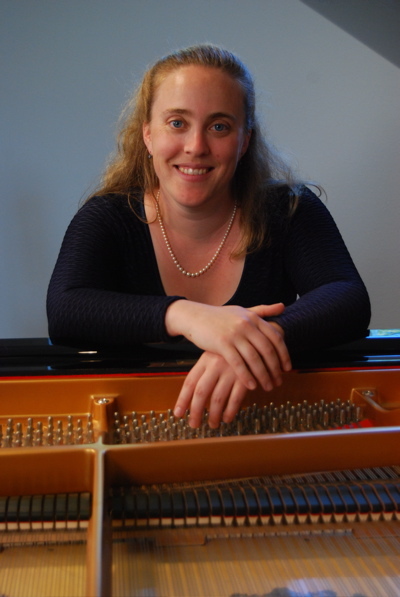 Her undergraduate work was completed at the University of Washington (BA/BM, 1997), where she studied piano with Robin McCabe and Craig Sheppard, and accompanying with Lisa Bergman. She then completed her Master of Music in piano performance at Northwestern University, studying piano with Laurence Davis and harpsichord with Stephen Alltop. As a teacher, Kim is active not only in her piano studio, but also teaches a variety of classes at the University of Washington Tacoma and University of Puget Sound. In this work, she is able to draw connections between her life as a musician and her more academic research and writing interests. As a performer, she is primarily interested in new and ‘under-represented’ works – whether for solo keyboard or in a chamber music setting. Her first solo recording, John Verrall: Compositions for Piano, highlights this focus. She has also worked extensively as an accompanist with singers and instrumentalists, choirs, and orchestras around the Pacific Northwest. She has been active for over a decade in the critically acclaimed Duo Alea, the bass clarinet/piano duo she formed with her father, Michael Davenport. The Duo’s performances and recordings have brought local and world premieres of several important works for bass clarinet & piano. The Duo are also active in music publishing and recording, forming the independent firm Alea Publishing & Recording in 1997 to produce their own recordings and make available music for the bass clarinet.